Whoa. 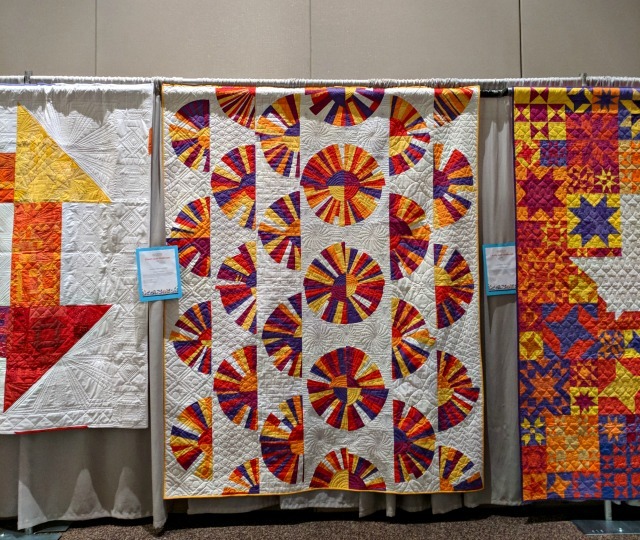 I'm still as immersed in QuiltCon recollections as I possibly can be considering life is back to reality with the day job, other commitments, etc. etc. And I'm afraid I better bring a halt to these posts sometime soon before you all run from overload But! There's still a tad more I want to post for memory's sake, and at the very least, I need to share a few quilts. Walking into the Conference Center to check-in, I was so taken by the charity quilts. Truly, they were stunning - the variety, the color, the goodwill expressed in the quantity alone. I've posted quite a few on Instagram here and here, and you'll find even more under the #quiltconcharityquilt hashtag. Of course I was anxious to find the one made by Seattle MQG! 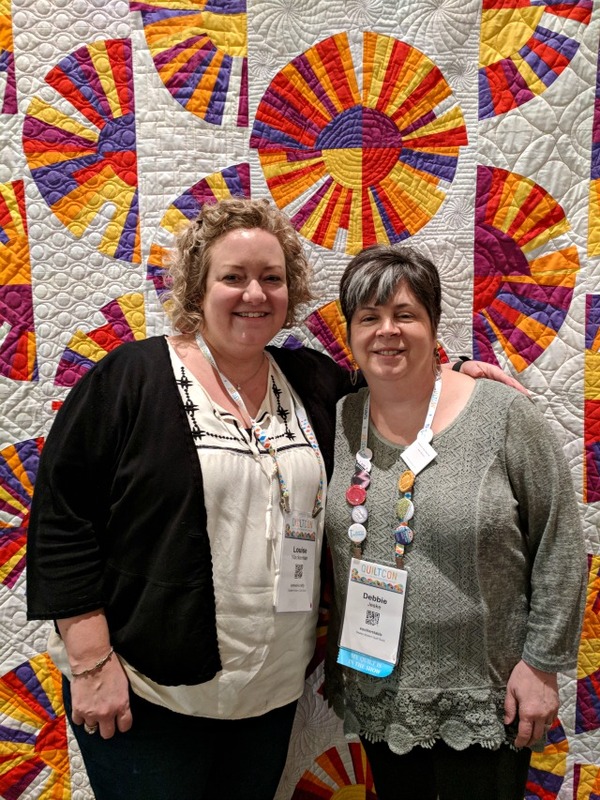 With a chuckle, my giving committee co-chair Louise/@imfeelincrafty and I named the quilt Frannie’s Flashy Fans, and I think it suits! 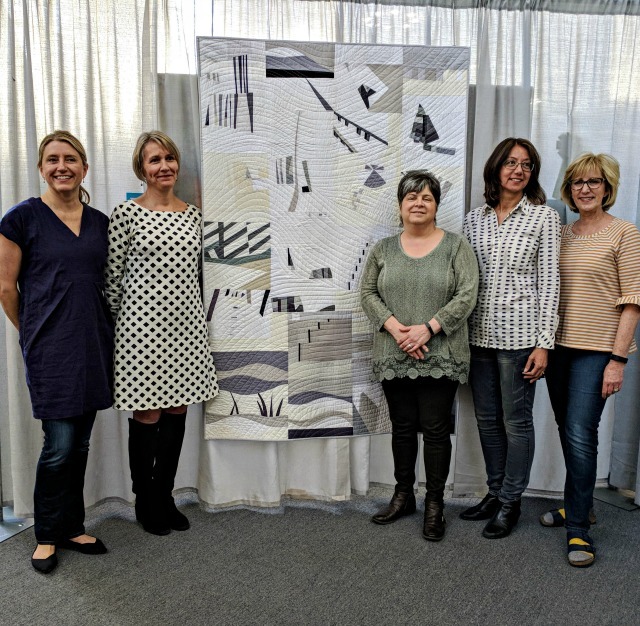 There were so many in the guild that had a hand in the quilt's making - from the block design by Ceclia Lehman, to all the blocks made by many Seattle MQG members, creative layout and piecing by Louise, and the wonderful quilting by Dionne Matthies-Buban - yes, it was truly a group effort. Of course, I was also anxious to find my own Follow the Dots, hanging with the other Small Quilts. I always like to see the other quilts in 'my' category - see some of my favorites here and here. 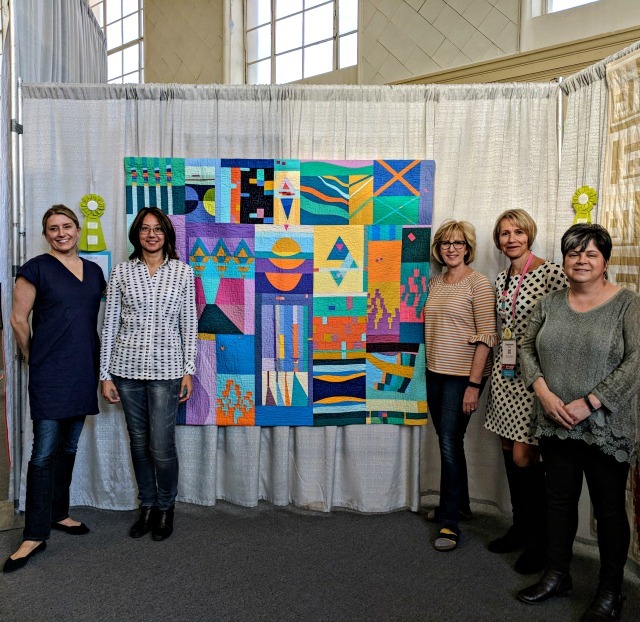 Also meaningful was when the Bee Sewcial members who were at QuiltCon gathered for photos with our three quilts that were in the show. Considering I wasn't there when my own Mod Mood hung (and won a ribbon!) in the show two years ago, it was really special to me to be able to join in this time. 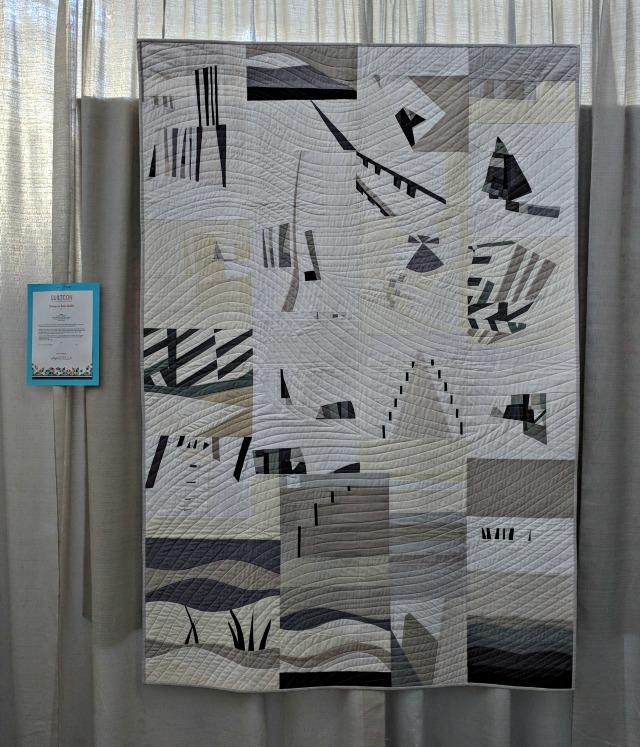 To top things off, Karen/@capitolaquilter won 2nd place in the group quilt category for her Reflections!! I was just so pleased for her! and Stephanie/@spontaneousthreads' 2 Degrees Celcius. It was SO cool (no pun intended) to see all three of these quilts in person and on display. So there are the quilts I had a connection with. Of course there were hundreds of others and hopefully you've seen many of them on Instagram and other blogs - so much creativity and beauty in this community of ours! 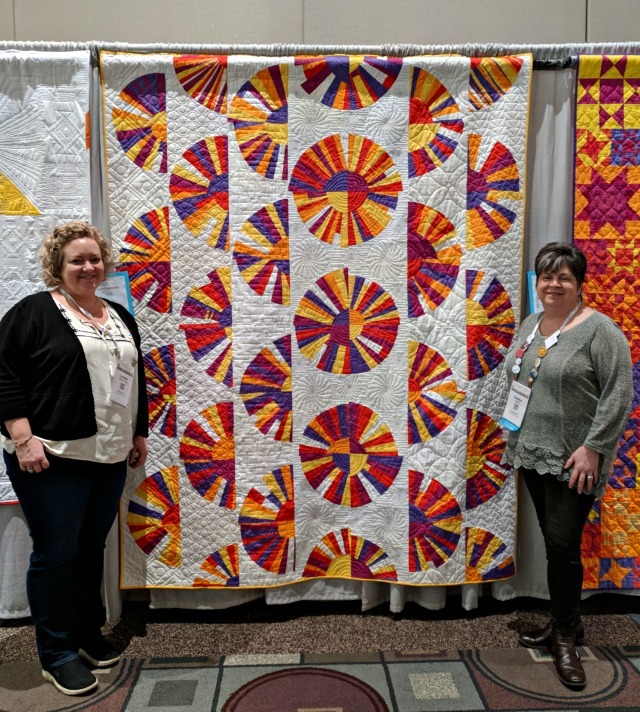 If you haven't seen the quilts that won awards, they are all posted on the QuiltCon website, and definitely worth a look! The charity quilts were definitely worth a long look and linger this year. I'm already looking forward to hearing what the challenge and color palette for next year will be. 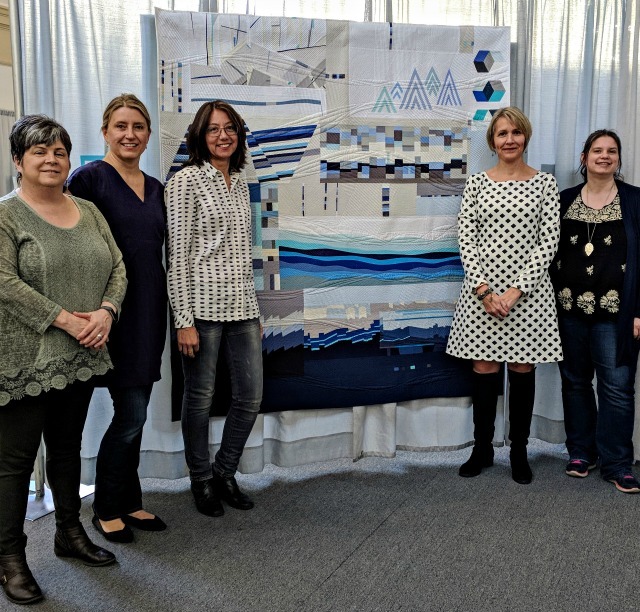 It's awesome you were able to have so many from your Bee Sewcial group there to be photographed with completed quilts. You've been a part of so much amazing work through the Bee Social. Nice that you got to get photos with some of the quilters and quilts. Your charity quilt is really nice. I'm curious what line of solids you used. Our guild used Kona and the colors seem so different to me. The Kona colors weren't nearly as sunset feeling as so many of the other quilts seemed to be. it was fun to see all of "your" quilts in person! Great work ladies! 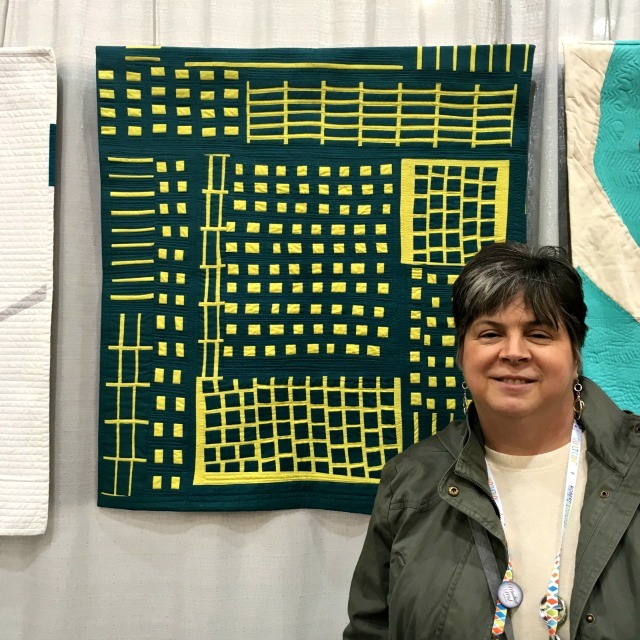 You obviously had way too good of a time at QuiltCon! Your chapter's charity quilt is great! Makes me wish we'd used a little more white or neutral in ours, to tone down the intense colors. How nice that you had so much participation in your quit! Do you know where it's being donated? And, as I've said before, your improv group is beyond talented! I've never seen a quilt come from anyone in your group that I haven't liked. So much creativity among you... like a team made in heaven. I will look forward to seeing future projects of yours. Congratulations on getting your own quilt in the show. That's no small achievement either! It's great to see you bloom with all your wonderful quilting. 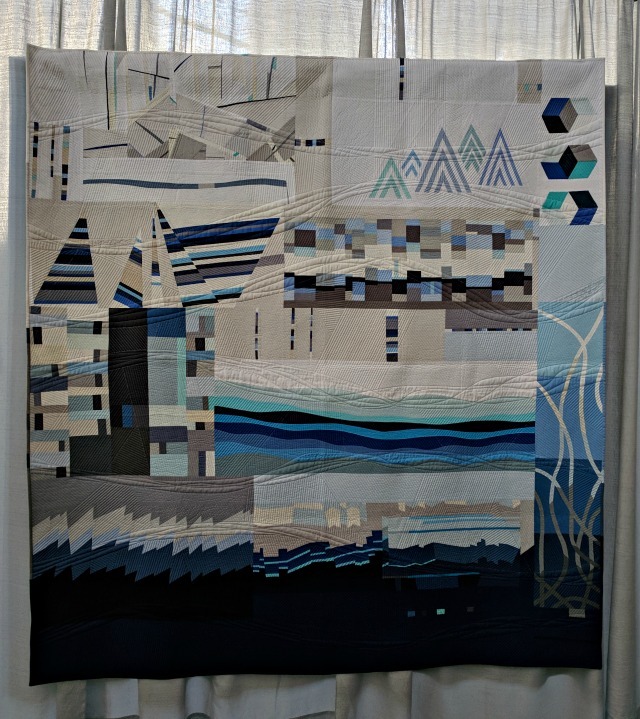 I love your guild's challenge quilt and all of the challenge quilts. They had such innovative designs and wonderful quilting.